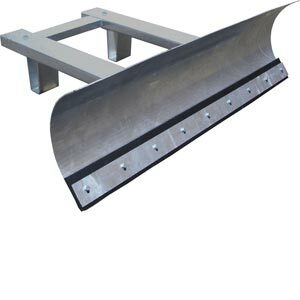 Although potentially a seasonal attachment the fork mounted Snow Plough is invaluable when the clearing of freshly fallen or compacted snow is required to ease vehicle or pedestrian access i.e. car parks, access roads and service yards. Often used by our customers as yard scrapers out of the wintry months.